A local woman who jumped in front of an oncoming train to save her mom is now feeling well enough to share her story with TODAY'S TMJ4. 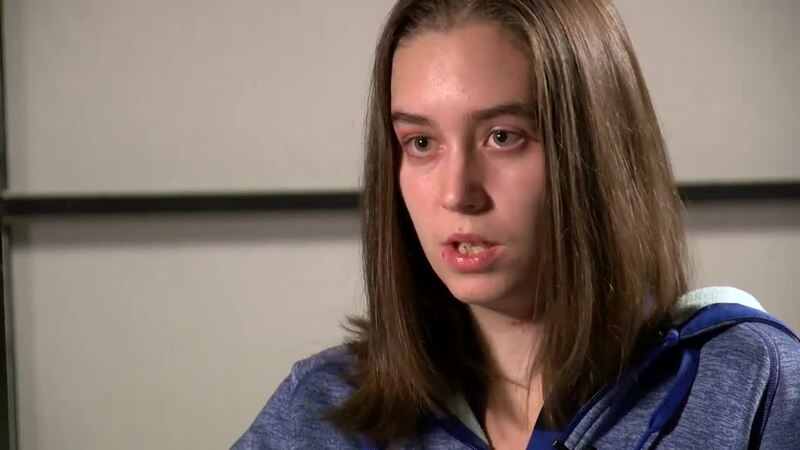 A Wisconsin woman who jumped in front of an oncoming train to save her mom is now feeling well enough to share her story. The incident first happened back in August. Katie Wenszell, 28, is a Milwaukee teacher. She, her mom and her sisters were on a girls trip to Atlanta, waiting for a train, when the unthinkable happened to her mother. "All of a sudden, the guy came out of nowhere and just pushed her. I didn't have any time to grab her. She was literally in the air and hitting the tracks," Katie said. Katie remembers bits and pieces of the day, but says her sister told her she walked to the end of the platform and was trying to yell for her mom to get up. "Then, I looked down to see the training coming and all I did was jump. She had her head and feet on the tracks? And I knew that if I didn't get her off, she was going to die no matter what. I decided it worked in the movie, let's lay her out flat, lay me down flat, and hopefully pray to god that it will work." Katie says she does not remember what happened after she jumped, that it "all becomes literally black." Although they don't know for certain what happened underneath the train, it appears Katie's plan worked. Her mom, Susan says "she managed to get me between those two tracks. That train went over the top of me. I never got hit by that train." Susan did suffer a concussion and severe head injuries from the fall. The train did hit Katie, as it was coming to a stop. 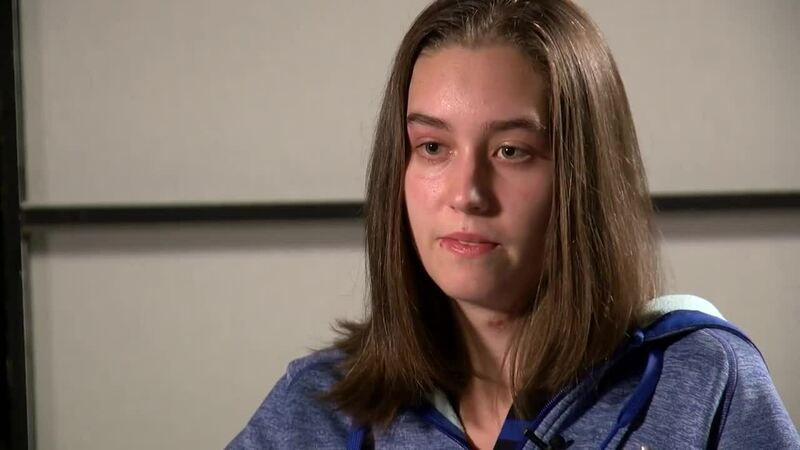 When asked about her injuries, Katie said she has "a reconstructed shoulder, smashed my face, so I have plates in my face. And I have amputated toes." She also believes the train dragged her by her necklace, causing serious injuries to her neck. She woke up in the hospital five days later with a tube down her throat. "Literally the moment it got taken out, is my mom OK was the first thing that came out of my mouth. What did they tell you? They said yep, she's fine, she's here," Katie said. Katie says she was ecstatic to find out her mom was alive, although her mom was upset that Katie risked her life to save her. "She's 28, I'm 57. My goodness, I've had my life," Susan said. That life now includes helping Katie get better so she can walk on her own again. The amputated area is healing so well, Katie wanted to show it to us. "When I first saw it, I was the only one who took it perfectly fine. After it started going down, I was like mom, look at the tiny alien foot, because it's really tiny," Katie said. As you can see, Katie has a really positive outlook and is working hard to walk again. She was supposed to be in China right now, teaching English and still hopes to go at some point. As for the stranger who pushed her mom, another passenger held him until authorities arrived. The family has a Go Fund Me page to help with Katie's medical bills.